Analysis of sugars in wort and finished product from individual sugars like: fructose, glucose, sucrose, lactose, maltose to full sugar profiles. In the brewing industry Nitrosamines can be formed when germinated barley is kilned. 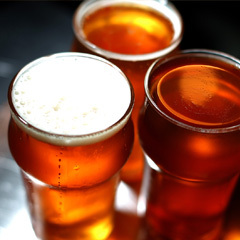 Leeder Analytical can analyse food and beverage including malt, wort or beer for Nitrosamine compounds including n-nitrosodimethylamine and other compounds down to ppb levels. Typical compounds we can analyse include: N-Nitrosodimethylamine, N-Nitrosomethylethylamine, N-Nitrosodiethylamine, N-Nitrosopyrrolidine, N-Nitrosomorpholine, N-Nitrosodi-n-propylamine, N-Nitrosopiperidine, N-Nitrosodi-n-butylamine and N-Nitrosodiphenylamine. No two batches of malt are alike. The only sure way to predict their effect on your brew is to be able to review malt analysis data. 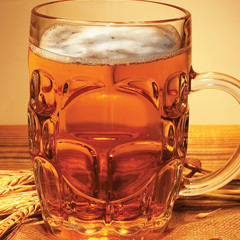 Leeder Analytical can provide a wide range of malt testing services. These include moisture content, colour, diastic power (DP), total protein, soluble protein, screenings <2.2mm, alpha-amylase, carbohydrate profile, etc. a-acids & b-acid content of cones, pellets, oils and extracts by HPLC. Essential oil content and composition. Isomerised by HPLC a-acids; ISO, Rho, Tetra, Hexa. Calcium, Total Iron, Magnesium, Copper, Potassium, Sodium, Manganese, Boron, Trace elements & Heavy metals. Acetaldehyde, Formaldehyde, Propanal, Butanal, Octenal, Nonenal, Furfural, Pentanal, Butanone, Propanone, Butanedione, Pentanedione, Acetone, MEK, MIBK & Hydroxylmethyl-furfural. Micro testing can be used to analyse in-process beer for Pediococcus and Lactobacillus from post-boil to bottling. These organisms present a challenge to brewers since they enter the brewery on raw materials such as grain and can produce lactic acid, altering the taste and aroma of the finished product. Ascorbic Acid, Ammonia, Alpha-amino nitrogen (NOPA), SO2 total & free, Yeast Assimable, Nitrogen (YAN), Chloride, bromide, iodide, Nitrate, nitrite, sulphate, phosphate, Oxyhalo- chlorite, chlorate, bromate, Total Protein, Beta-Glucan (High MW), Hydrogen Peroxide and Peroxyacetic Acid, pH, Light struck beer testing- methyl-2-butene-1-thiol (Skunk flavours), Bitterness on finished product (IBU), Foaming test, Storage life, Diacetyl, Colour, Gluten, Disinfection taint and Nitrosamines. Additional tests can be added as listed above. For more information about our beer testing kits click here! 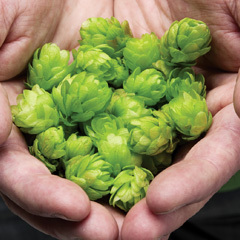 Click here to download a PDF version of our Beer Chain of Custody form.